The Antwerp Symphony Orchestra (ASO, formerly known as the deFilharmonie or the Royal Flemish Philharmonic) is a superb formation, one of the finest in the country. The quality of this ensemble was undeniable in an utterly delightful Mozart and Dvořák matinee concert in Antwerp’s Queen Elisabeth Hall under the ASO’s Conductor Laureate, Dutch maestro Edo de Waart. The presence of Alice Sara Ott as soloist was icing on the cake. Categories: Concert reviews | Tags: Alice Sara Ott, Antonin Dvorak, Antwerp, Antwerp Symphony Orchestra, Edo de Waart, Elisabeth Center, Marc Haegeman, Wolfgang Amadeus Mozart | Permalink. For Alice Sara Ott playing Mussorgsky’s Pictures of an Exhibition is like visiting an old friend. In the liner notes of her new CD called “Pictures”, she recalls how she was able to familiarize herself with the work during her student years at the Salzburg Mozarteum. I have heard her perform the Pictures on a couple of occasions in concert and there is no doubt she inhabits Mussorgsky’s various tableaux with confidence as well as insight. The current CD was recorded live during the White Night’s Festival in St. Petersburg in July 2012, where the sense of occasion was undoubtedly enhanced by the challenge to perform this quintessential Russian work before a Russian audience. Categories: CD reviews | Tags: Alice Sara Ott, Deutsche Grammophon, DG, Franz Schubert, Marc Haegeman, Modest Mussorgsky, piano, Pictures, Pictures at an Exhibition, White Nights Festival St. Petersburg | Permalink. 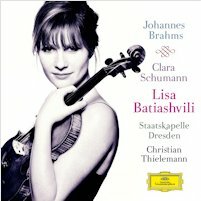 The Georgian violinist Lisa Batiashvili teams up for her second Deutsche Grammophon disc with the Staatskapelle Dresden and its principal conductor Christian Thielemann in this new recording of the Brahms Violin Concerto. The 33-year-old Batiashvili has quickly established herself as one of the most acclaimed and sought-after violinists of the day. She holds the position of “Capell-Virtuosin” in Dresden for the 2012/13 season, emphasizing her special relationship with the reputed orchestra and while falling short of being revelatory, her Brahms nonetheless makes a fine stand among the many reference recordings available. Categories: CD reviews | Tags: Alice Sara Ott, Brahms Violin Concerto, Christian Thielemann, Deutsche Grammophon, Johannes Brahms, Lisa Batiashvili, piano, Robert Schumann, Staatskapelle Dresden, violin | Permalink. 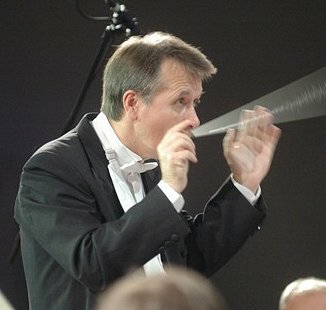 In the Meet & Greet that preceded the performance, Swiss-born conductor Stefan Blunier pointed out how difficult it is to start a concert with Sibelius’ Swan of Tuonela. That was unfortunately proven true in this concert with the National Orchestra of Belgium on the next to the last day of the Brussels Bozar Marathon Week. The program was dubbed “Strong musical stories”. Strong they may have been, but the stories sounded surprisingly similar in Blunier’s hands. Leading a massive orchestra for Sibelius’ Swan, Blunier opted for a slow pace but remained more analytical than atmospheric and allowed far too outspoken contrasts and brusque interruptions of orchestral sections (especially brass and bass drum). The cor anglais made a commendable contribution but he was too prominent as if it was his concerto and a swifter tempo would have saved him from some uncomfortable moments. The violins, massed to the left, sounded rather cold, yet the lower strings created an impressive sonority. 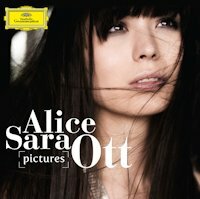 Categories: Concert reviews | Tags: Alice Sara Ott, BOZAR, Grieg, Jean Sibelius, Marc Haegeman, Nationaal Orkest van België, National Orchestra of Belgium, NOB, Piano Concerto in A minor Op. 16, Stefan Blunier, Tchaikovsky | Permalink. Alice Sara Ott isn’t afraid of challenges. 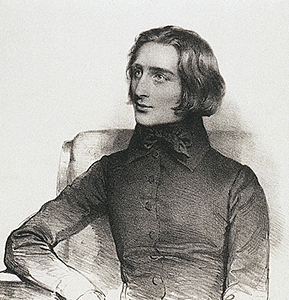 This summer the German-Japanese pianist came up with a hefty recital program that at first glance looked quite unusual for her (having ventured so far mainly in Beethoven, Chopin and Liszt territory), pairing two monumental but very different works – the Schubert D major sonata and Mussorgsky’s Pictures at an Exhibition. Yet for a pianist who used to perform the full set of Liszt’s Etudes d’exécution transcendante in concert no mountain is too high to climb. After performances at the White Nights Festival in St. Petersburg and at Verbier, she repeated the Schubert-Mussorgsky tour de force at Amsterdam’s Concertgebouw on July 31. Categories: Concert reviews | Tags: Alice Sara Ott, Concertgebouw Amsterdam, Franz Schubert, Marc Haegeman, Mussorgsky, piano, Pictures at an Exhibition | Permalink.